If you want a compact smartphone like us, the predecessor, the Xiaomi Mi 8 SE, was a great smartphone. The successor is as good as its predecessor, but Xiaomi actually has a slightly larger display. With a somewhat unusual display diagonal of 5.97 inches, the difference to its predecessor is 0.11 inches. 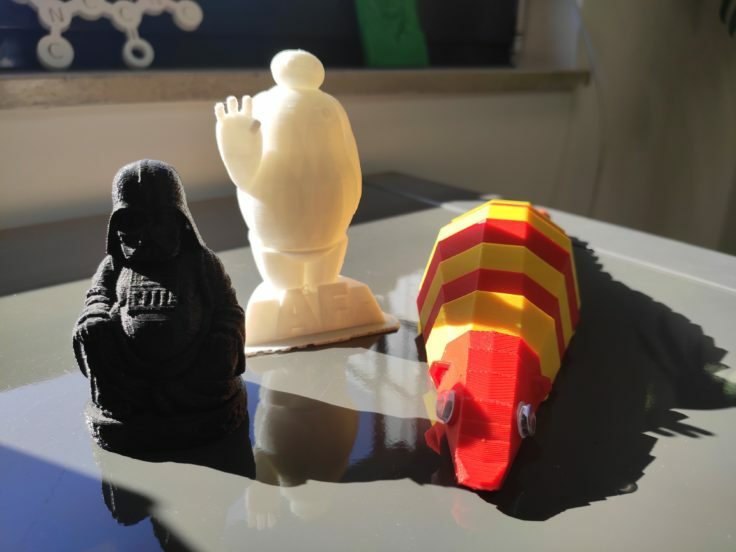 With 147.5 mm in height, 70.5 mm in width and 7.45 mm in thickness, it is somewhat slimmer than its predecessor with almost the same size. Here you can also see that Xiaomi has made the screen edges even narrower. This makes it slightly longer than the iPhone XS (0.04 mm), but also thinner and narrower than the top model from Cupertino. 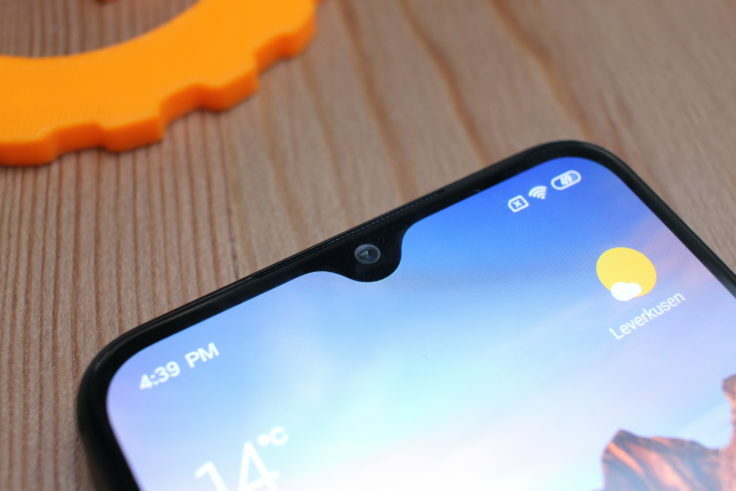 Just like the Mi 9, the Special Edition also has a Waterdrop Notch centrally located at the top of the screen. The recess is many times smaller than on the predecessor. The fingerprint sensor is also the same as its big brother. It’s also in the display and works so reliably. Only the unlocking speed isn’t quite as high, which is probably due to the weaker processor. The ergonomics of the back, on the other hand, are different. Here one actually orients more on the iPhone than on the Mi 9, also certain parallels to the Mi 8 Lite are recognizable. The manufacturer doesn’t round off the long sides and places the two glass sides completely flat on the metal frame. This is slightly bent outwards, but the display glass is much better integrated into the frame than in the Lite version of the predecessor. 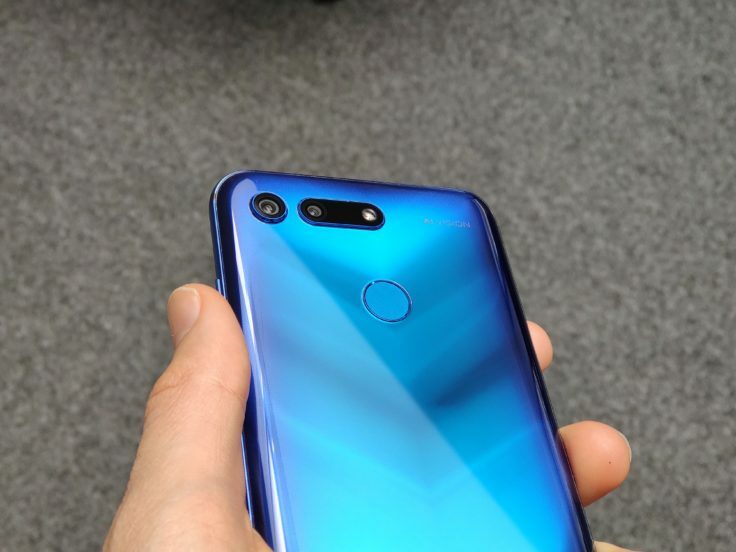 Otherwise you could easily confuse the back of the Mi 9 SE with that of the Mi 9. 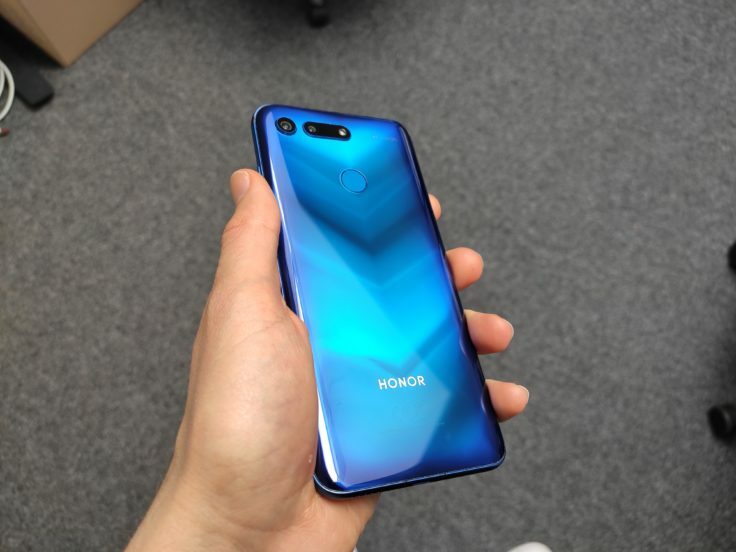 Triple camera in the upper left corner, followed by the LED flash, no fingerprint sensor on the back, the reflecting glass with a lot of fingerprints and the Mi logo completes the whole thing. With the predecessor, we were not 100% satisfied with the quality of workmanship, but Xiaomi made improvements. 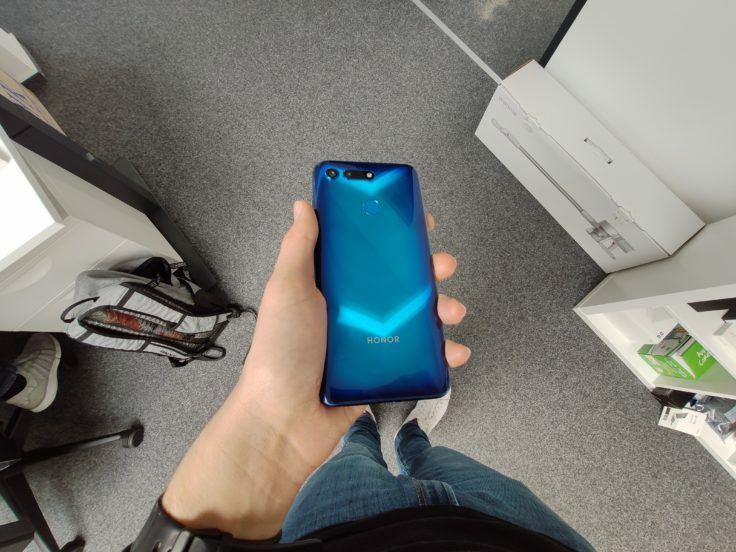 We couldn’t find any processing errors, so the Mi 9 SE is state of the art and even makes a big impression. Even though it’s not a processing error per se, the triple camera is also relatively far out, which can be annoying in horizontal mode. Apart from that, here you almost compete on the level of Apple, the comparison with the $1000 smartphone has to be put up with the Mi 9 SE. After all, the Xiaomi Mi 9 SE and the iPhone X/XS are almost identical in terms of handling. The dimensions are almost the same and the feeling in the hand has also been described as “identical” by iPhone X users from our office. 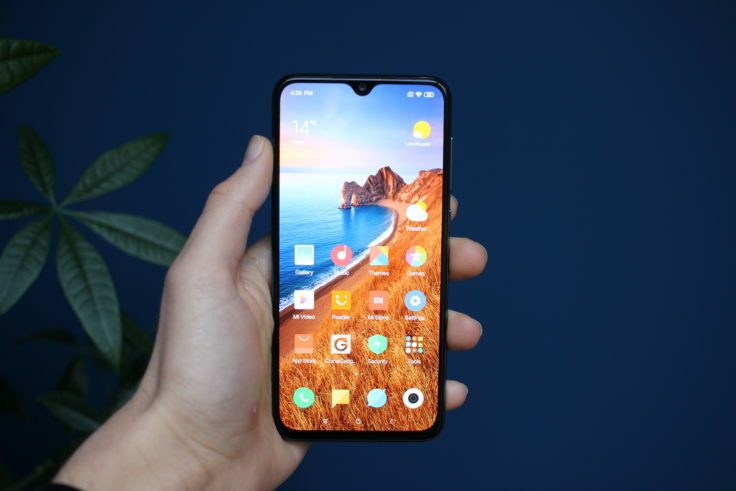 So if you like the size of the X, you’ll also be very satisfied with the Mi 9 SE! Here I see the biggest advantage of the Xiaomi Mi 9 SE. In almost all situations you can use the phone with one hand, which is really rare for a strong smartphone in 2019. From Xiaomi there are currently only the Mi Play and the Mi A2 Lite, which have a similar handiness. The 9 SE is even marginally smaller, but offers even more display space. All other smartphones are bigger. 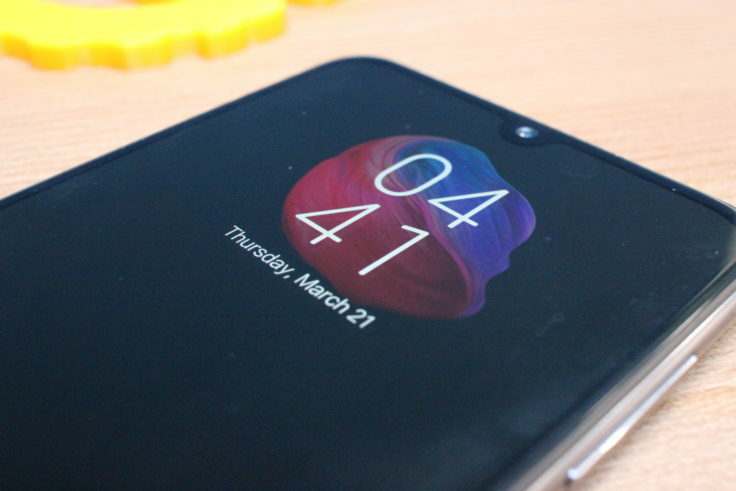 Personally, I like this extremely much and ask myself why Xiaomi only occasionally uses such case sizes. The supposedly “weaker” version, however, also manages with an AMOLED panel, which offers a high resolution of 2340×1080 pixels. Due to the somewhat smaller display size, this results in a pixel density of 432 ppi, i.e. pixels per inch. Thanks to the AMOLED display we get a strong contrast of 60000:1. This offers a brightness of 430 nit. 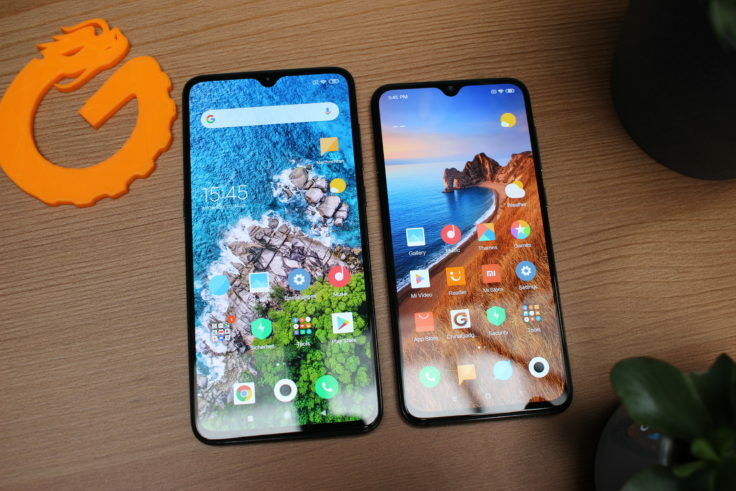 In a direct comparison to the Mi 9 I can’t see any clear differences between the two display panels. Also the Mi 9 SE shines with a good brightness, a strong contrast and the bright colors. 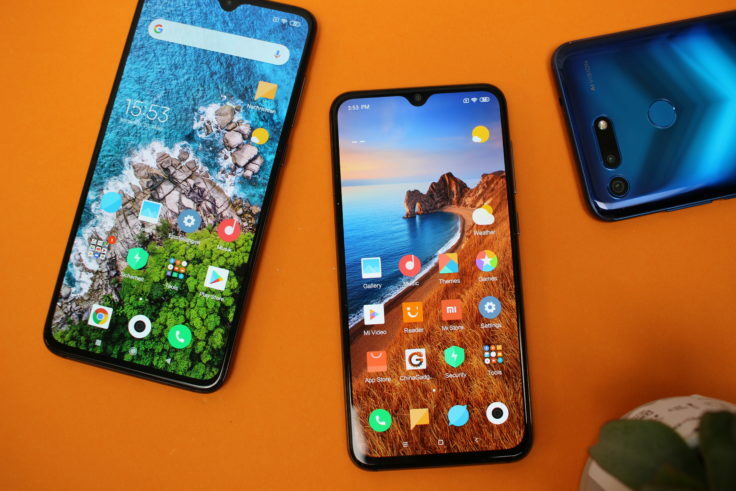 I have the subjective impression that the Mi 9 is even slightly brighter, but that doesn’t move within any measurable range. Also the viewing angle stability doesn’t leave anything to be desired. Both are not only on the same level in the hardware area, but also on the software side the range of functions is identical. Thanks to the AMOLED panel, you can also activate the Always On Display on the Mi 9 SE and individualize it with various animations. There is also the color palette for adjusting the contrast and the color temperature as well as the dark mode, which was introduced with the Mi 9 and Mi 9 SE. So you don’t have to do without anything if you choose the cheaper and more compact version. As with the Mi 9, the Always On Display of the Mi 9 SE has several options for the Always On Display. The question with such a weakened version is always, how much power you “lose” in contrast to the actual model, the Mi 9? The answer: not as much as you might think! 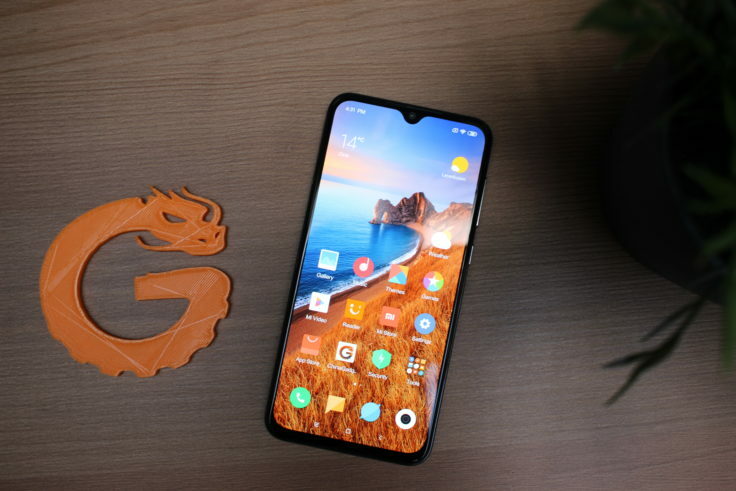 Because in the new Xiaomi Mi 9 SE the Snapdragon 712 processor is used, in the predecessor it was the Snapdragon 710. However, the difference between the two is rather marginal with a 10% increase in performance. The processor is based on a 10nm production and offers eight cores with a clock frequency of up to 2.3 GHz. In addition, Xiaomi has 6 GB RAM and 64 GB or 128 GB internal memory. Our test device is the 6/128 GB version. 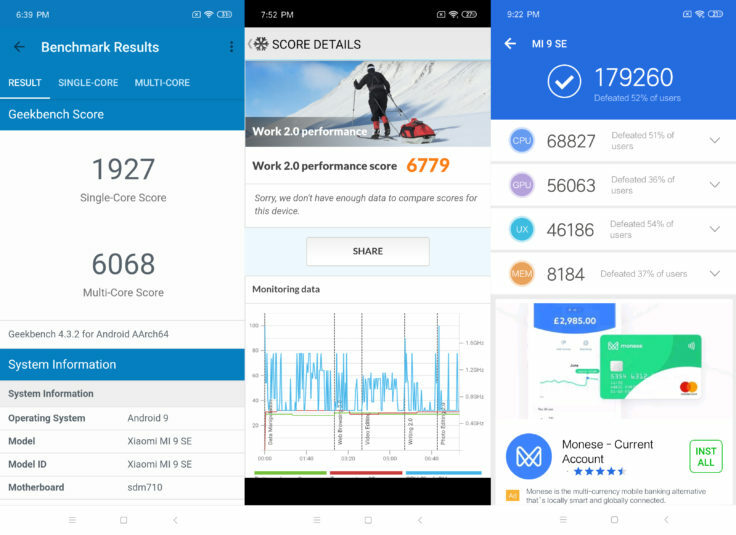 There is no question that the Xiaomi Mi 9 is faster than the Mi 9 SE, but the Mi 9 SE still offers a really good performance. In everyday use, all apps open quickly, sometimes even a bit faster than with the Mi 9. With 6 GB RAM, of course, you don’t have any problems in multitasking. If you belong to the category “WhatsApp, Facebook & Instagram”, you won’t be able to use up the CPU power anyway. Somewhat negatively, I only noticed that the phone sometimes takes a little longer to get out of sleep mode and then there is a short input lag. Apart from that you have a lot of fun even with a few games on the memory, the Snapdragon 712 delivers more than enough power. PUBG doesn’t support Ultra HD here, but HD does, runs very smoothly and looks really good! This is also confirmed by the benchmark results, which were very good overall. However, you can also see that the jump from Snapdragon 710 to Snapdragon 712 is hardly worth mentioning. 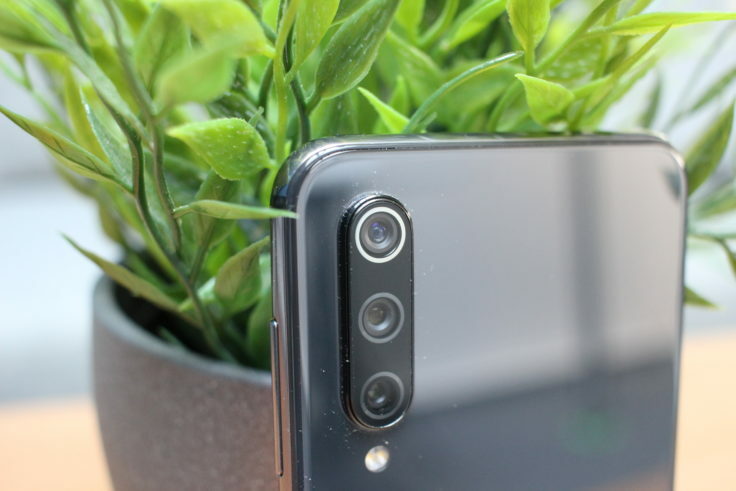 The Xiaomi Mi 9 SE also comes on the market with a triple camera. The main sensor is the same 48 megapixel Sony IMX586 sensor as in the Mi 9 or Honor View 20, plus an 8 megapixel telecamera with a ƒ/2.4 aperture and a 13 megapixel wide-angle camera, also with a ƒ/2.4 aperture. This is basically the same setup as the Mi 9, but with a slightly weaker telephoto and wide-angle camera. The front camera consists of the same 20 megapixel sensor of the big brother. Are there any differences to the quality of the Mi 9? Yes, but not with the main sensor, because even with the Mi 9 SE you can take razor sharp photos with a nice color profile and good autofocus. Differences to the flagship are surely not recognizable for the layman’s eye and in the camera app you don’t really notice any difference. Also the autofocus works fast and reliable, the Snapdragon 712 also provides a fast release. The differences are actually limited to the second and third sensor, but are sometimes relatively conspicuous. The portrait mode still works well, but the main camera is still responsible for this. If you operate the zoom, which is a double zoom thanks to the telecamera, everything beyond that is digital, you notice a difference. 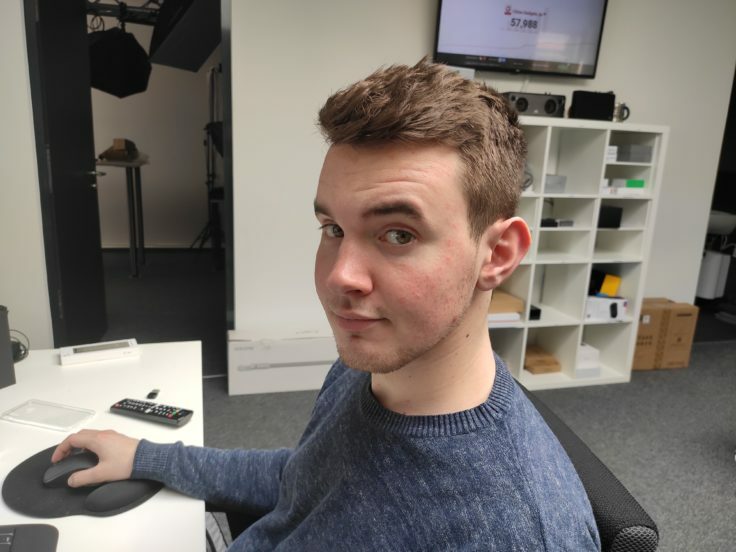 The resolution looks good on a mobile phone, the colours are also right and in good lighting conditions the aperture change doesn’t really darken the picture. On the computer you can see some minor differences in the detail, but the 8 MP camera still gets a lot out of it. The biggest difference lies in the (ultra-)wide-angle camera. 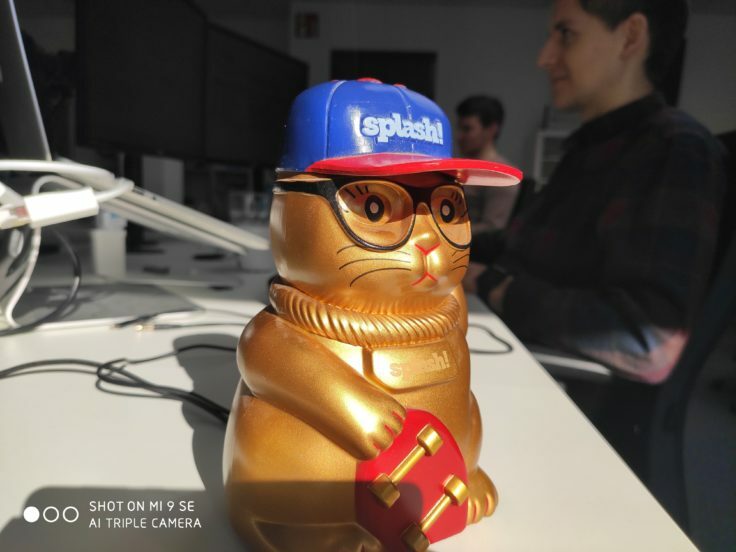 The effect is the same, no question about it, but differences in resolution can already be seen on the mobile phone display. Especially with humans the distortion is a bit bigger, the photos get a bit darker and you should better refrain from zooming in. Since this was the mode I enjoyed the most with the flagship, the deterioration hurts here. But since the effect is the same and there has to be a quality reduction somewhere to justify the price, it’s all still bearable. 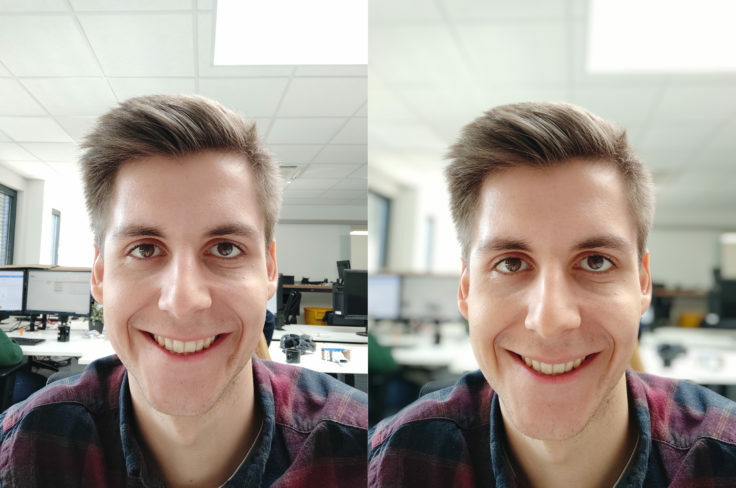 No differences between the two smartphones can be seen in the front camera. The Xiaomi Mi 9 SE is really a good smartphone for selfie fans. The sensor’s 20 megapixels make for detailed self-portraits and I also like the color profile quite well, even though the skin tones tend to be pale. That doesn’t come close to a Xiaomi Mi Mix 3, but you still get your money’s worth! As almost always, I can praise the portrait mode of the front camera, which conjures up a nice soft bokeh. All in all it can be said that the camera really is on an above average level and the 48 megapixel main sensor produces great photos. The flexibility through the two additional sensors is also really cool, but you have to accept a few quality losses due to the worse sensors. Less display = more battery life? Proportionally to the smaller display and the somewhat weaker processor, the battery size was also slightly decimated. With the Xiaomi Mi 9 SE, you have to get by with a 3,070 mAh battery. Compared to the Mi 9, this is 230 mAh less, in the battery life you strangely notice a bit more of it than initially assumed. A battery life of a little more than one day is of course no problem! Finally, the battery benchmark also reaches 9:30 hours. The only negative thing I noticed was the somewhat high consumption in standby, here you probably notice that the 7nm chip from the Mi 9 is even more efficient. The battery can be quickly recharged with 18W using Quick Charge 3.0. The Xiaomi needed 1 hour and 20 minutes from 0% to 100%. Unfortunately, the Xiaomi Mi 9 SE doesn’t support wireless charging. As usual with Xiaomi, the Mi 9 SE also comes on the market with a dual SIM slot. However, memory expansion is not possible. 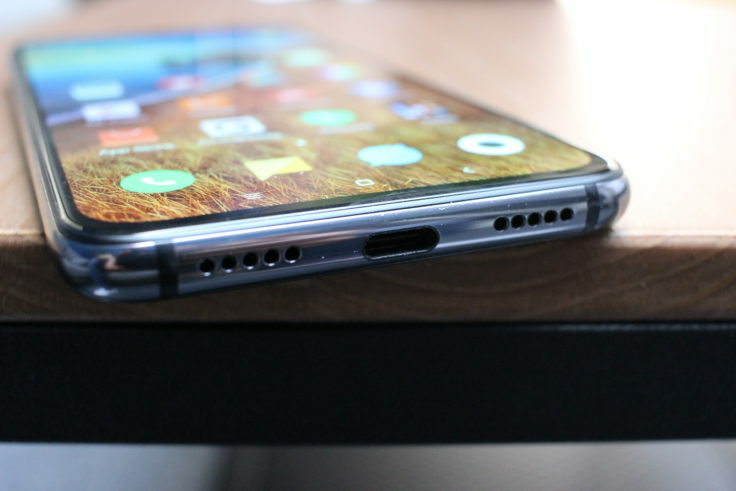 Of course, you can also use a USB type C slot, which has long since established itself as the standard for Xiaomi models over $200. One must do without an AUX connection. Of course, Xiaomi comes with the appropriate adapter for this. On the wireless level, the Special Edition of the Mi 9 comes with Bluetooth 5.0, GPS, GLONASS, Dual Band ac-WLAN, Bluetooth 5.0 and even NFC. So contactless payment via Google Pay is no problem. What does the China version mean to us now? Can the Mi 9 SE be used in the West? Yes. Nevertheless, there are restrictions. The pre-installed MIUI operating system can only be used in English or Chinese, there is no CE mark, only one China plug and not all LTE bands. 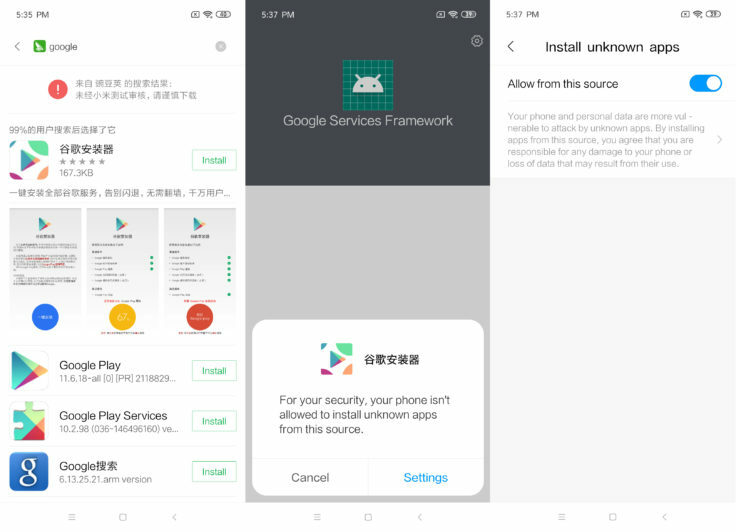 No Google services are pre-installed on the mobile phone, nor is there a Google Play Store. But this is very easy to install yourself. Just open Mi App Store, search for “Google” and install the Google Installer. He installs the Google Framework and the Google Play Store bit by bit. So it’s really easy and the Play Store can be used to install other Google services like YouTube or Google Photos. However, the Google Play Store is not certified then! Apart from that, there are no restrictions. Unfortunately, there was never a global version of the predecessor on the market. 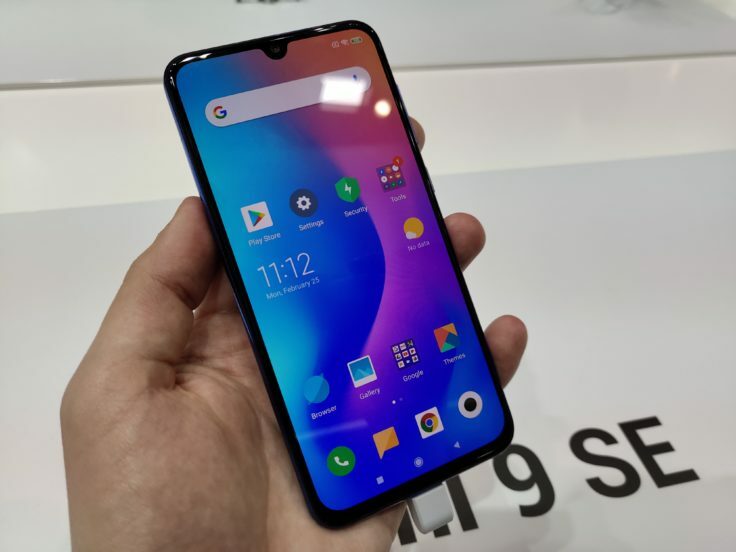 Will this change with the Xiaomi Mi 9 SE? Yes. Meanwhile there is a global version available! We think the Xiaomi Mi 9 SE is really strong and hoped that Xiaomi would release such a version again. We particularly welcome the somewhat more compact design, which is much more handy than the 6.4 inch case of its big brother. And you don’t even have to do without so much. Super processor, triple camera, fingerprint sensor in the display and NFC. In the end it’s the little things that make you realize that it’s not a Mi 9. The reaction time after waking up from standby is somewhat slower than with the flagship, the ultra wide angle camera is somewhat worse, you don’t have an AI button and you have to do without wireless charging. But the price difference is very justified. In my opinion, the Mi 9 SE should be used especially if you have problems with the larger smartphones. Because the form factor of the Special Edition is exactly right in my eyes and would be for me privately also a decisive argument, if then the Global Version (hopefully) appears. I think it would be strong if Xiaomi would market the 9 SE for Europe as Mi 9 Compact, “SE” is simply a bit misleading and ignores the biggest plus point of the mobile phone. Is the lower form factor also an important purchase criterion for you?